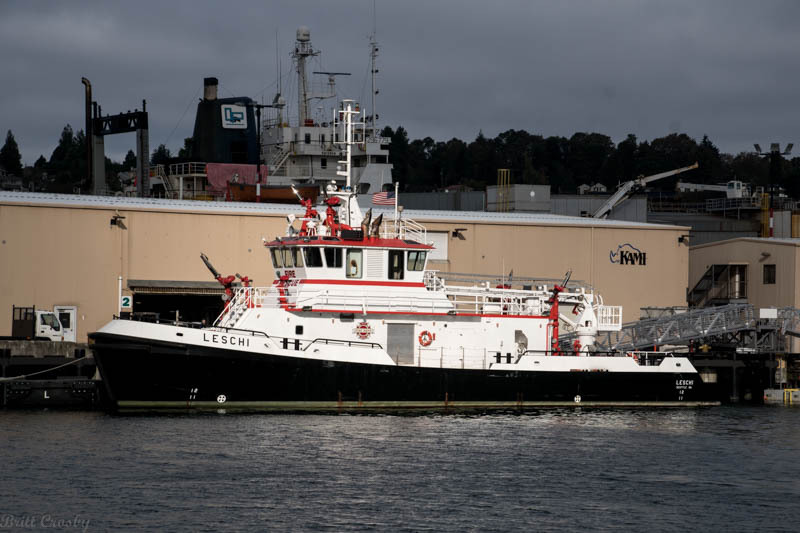 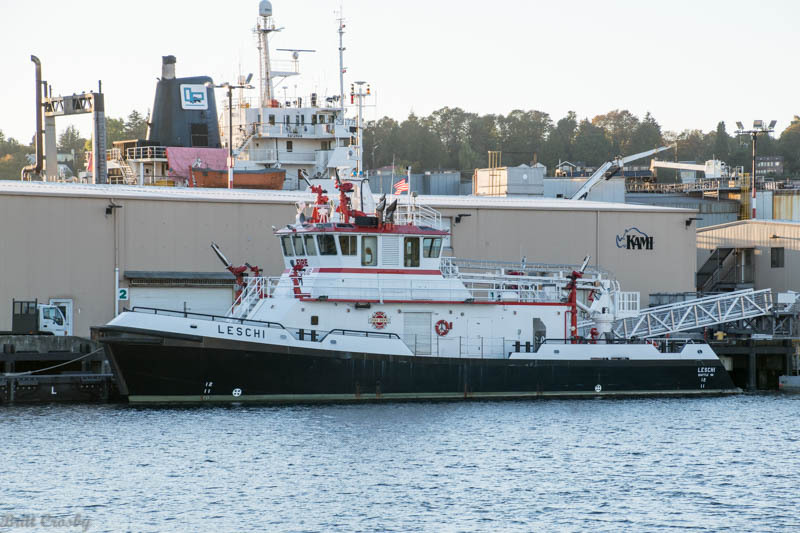 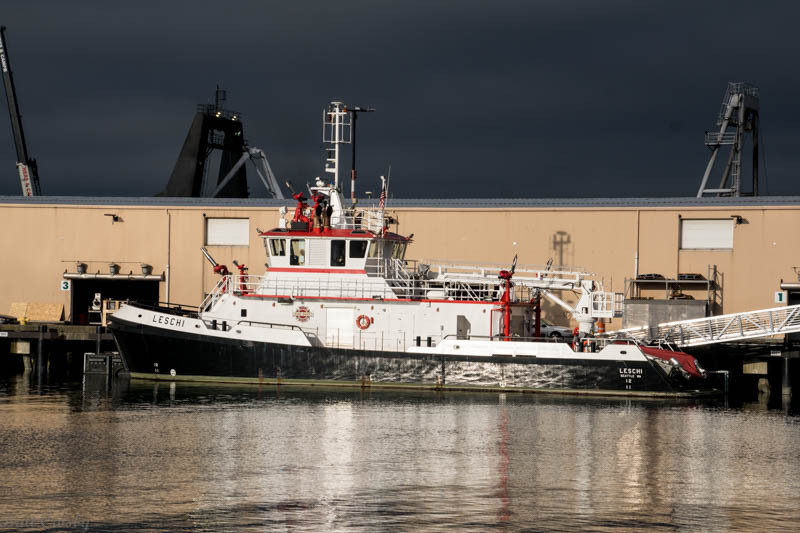 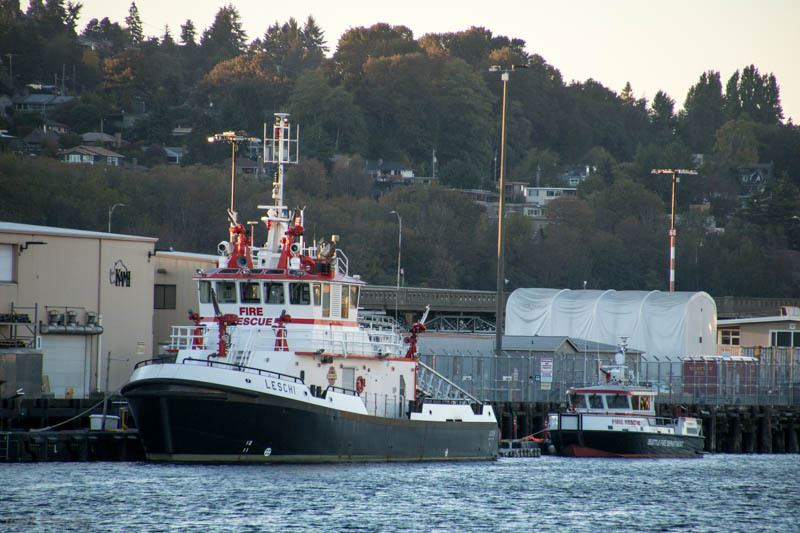 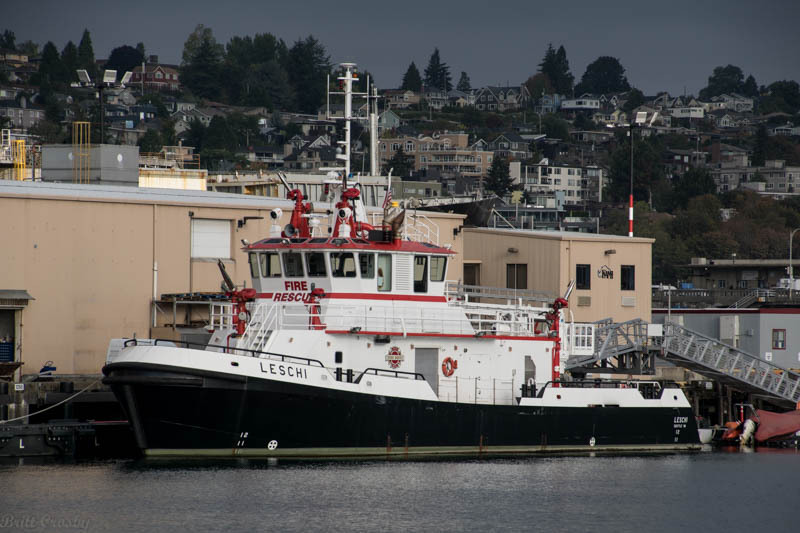 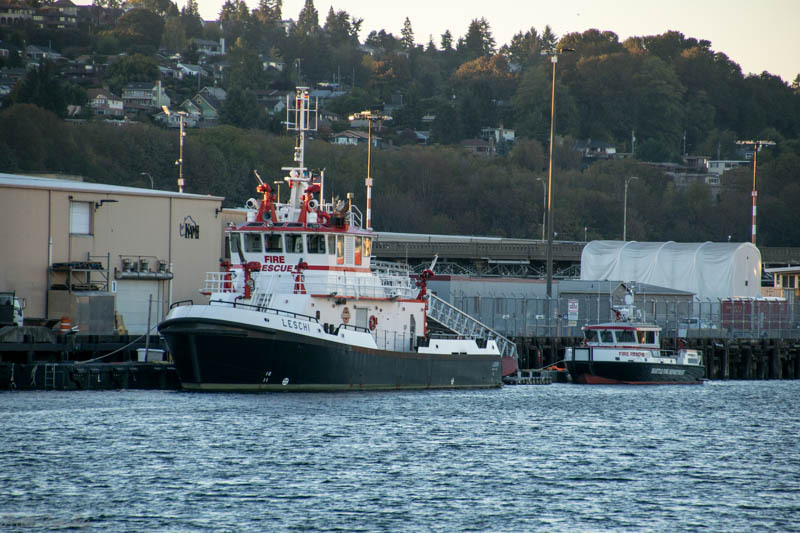 The Seattle Fire Department's largest, most powerful fireboat is named "Leschi." 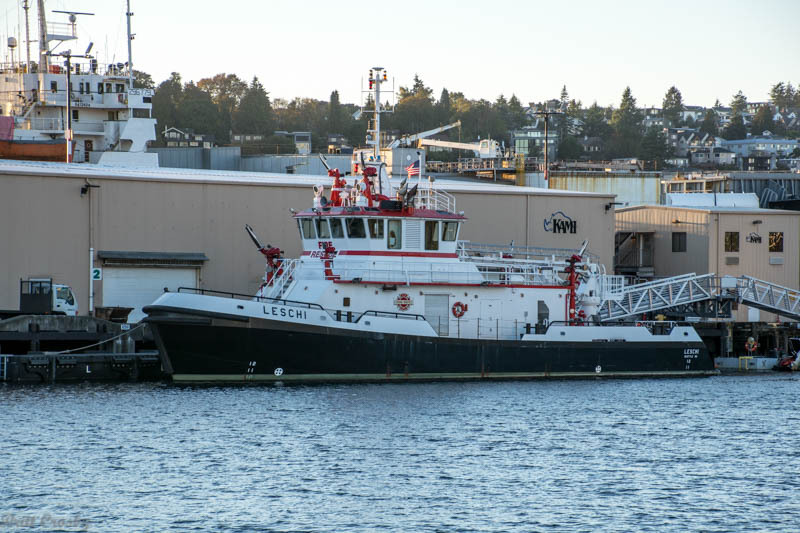 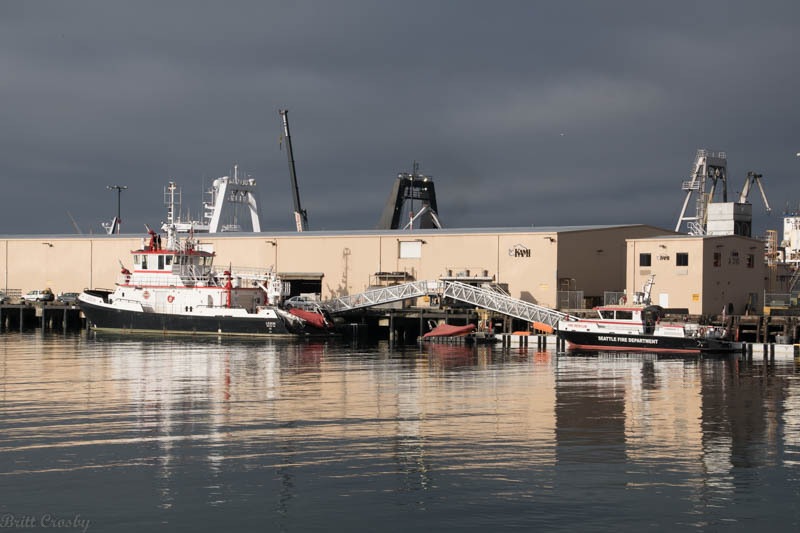 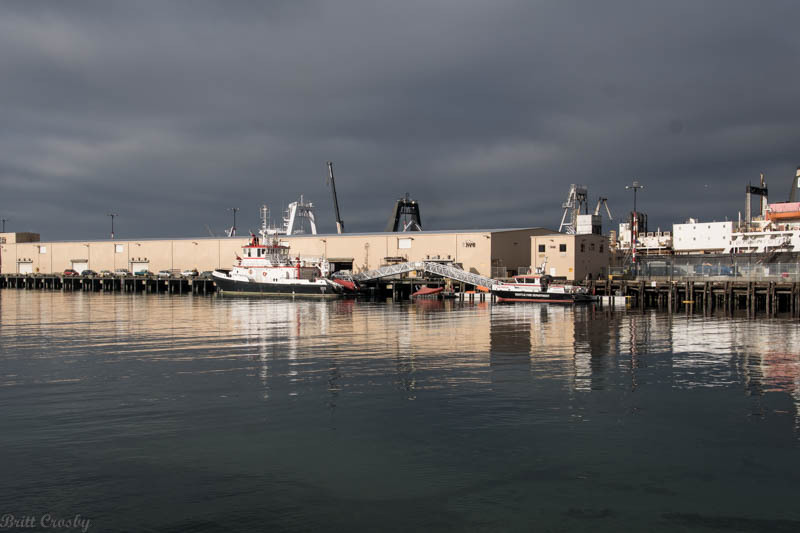 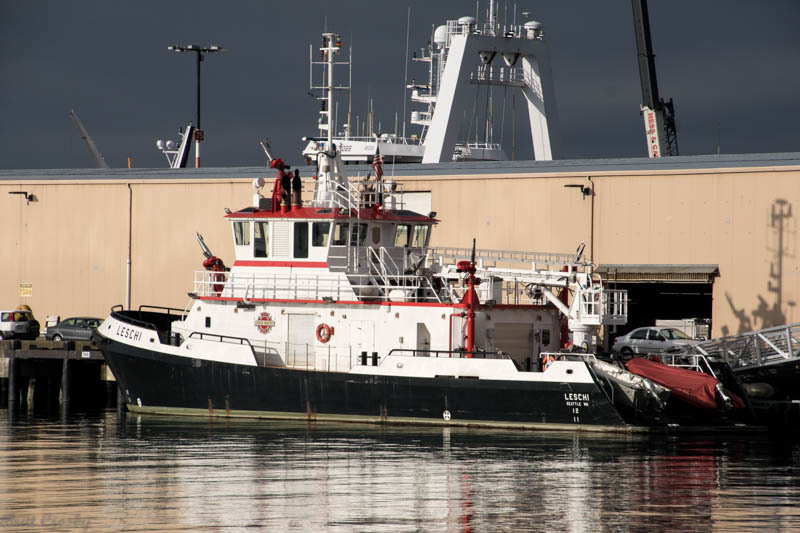 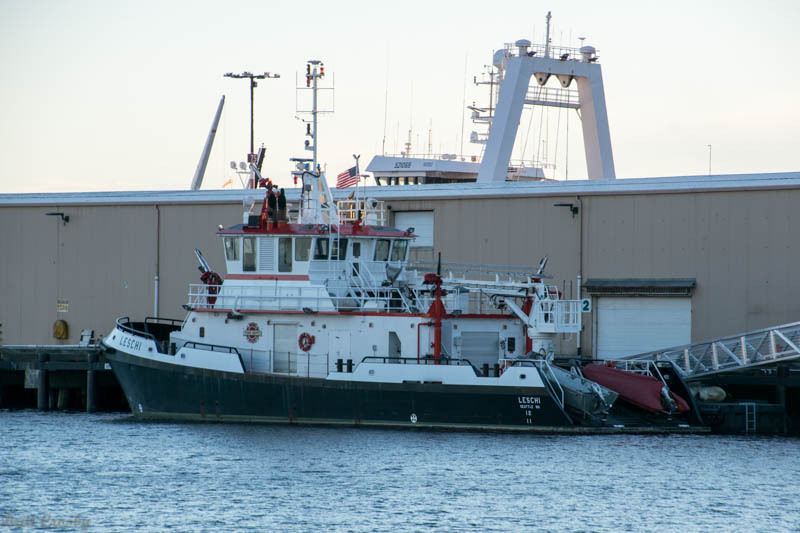 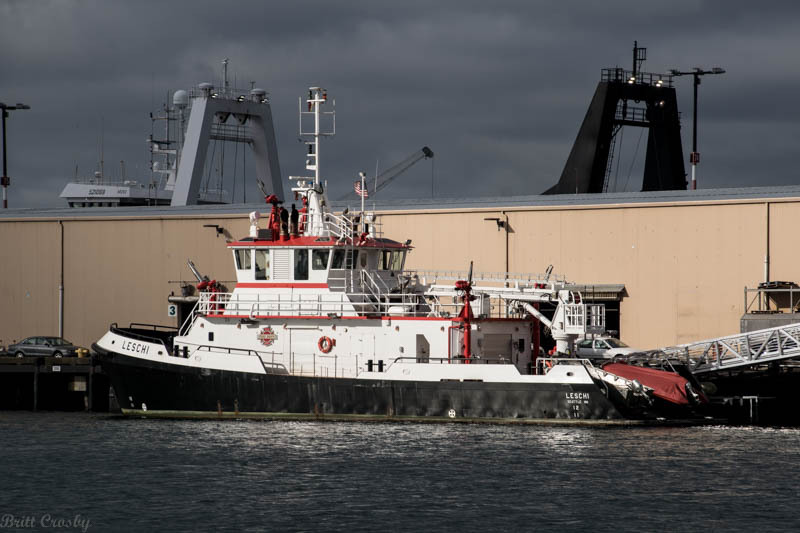 The 108' vessel was built in 2007 by Dakota Creek Industries in Anacortes, WA. 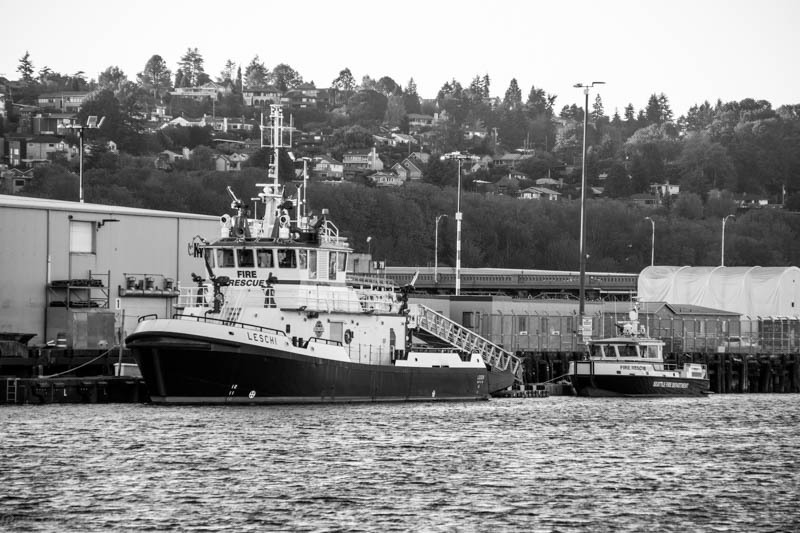 of 14 knots. 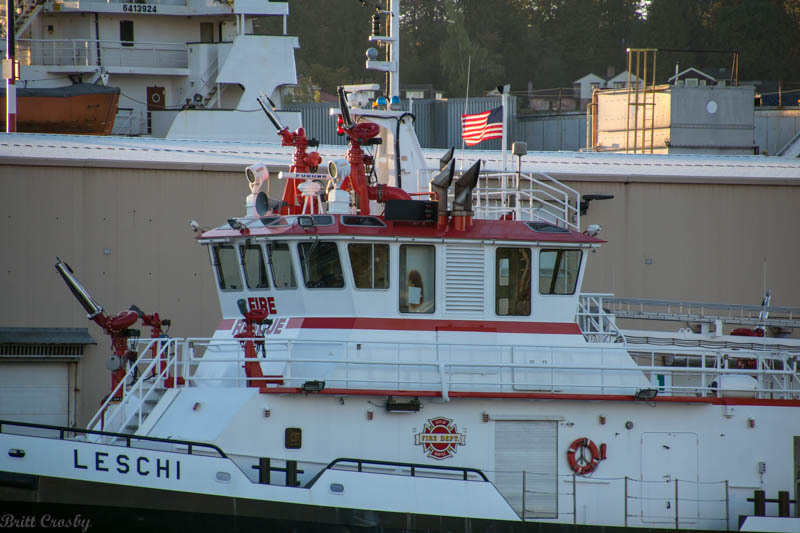 The pumps can discharge 22,000 gpm thru a variety of nozzles. 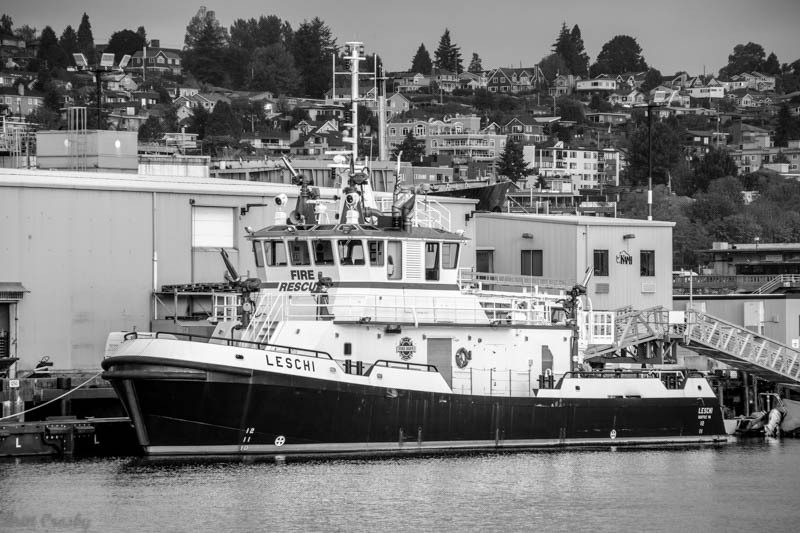 The "Leschi" is normally assigned to Station 5 on Alaskan Way. 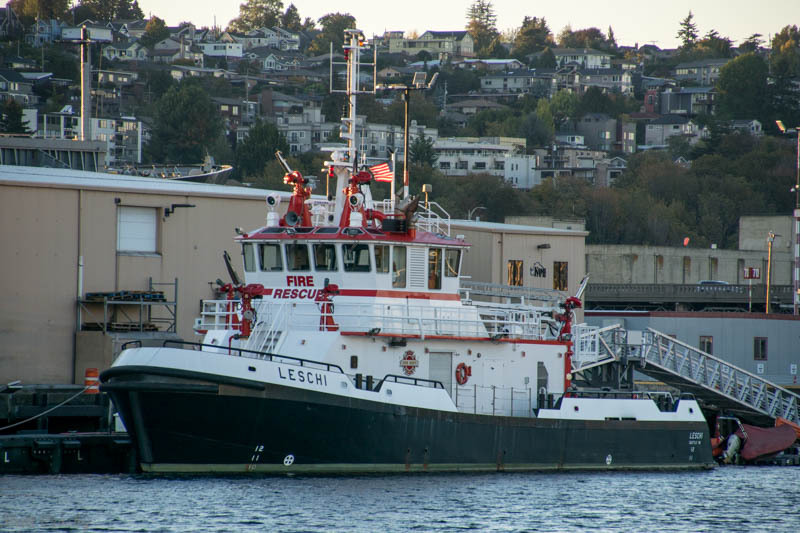 Chief Leschi was a native American chief of the Nisqually tribe.